The basics to preparing your home for sale are just common sense. Always remember in an open house, impression is everything. Even simple things like removing clutter, cleaning bathrooms, kitchen, closets and windows will greatly enhance the first impression people get of your house when walking through. For more information, this is outlined in more detail in the "Marketing Your Home" section of your home listing kit. There is only one reason that a home does not sell! If your home is not properly priced, it will not sell. If you overprice your home you can expect a long and frustrating home selling process. You don't want to leave money on the table, however, if your home is grossly over priced it will not sell. If you need assistance with pricing your home a FSBOthatWorks.com offers a competitive market analysis with our basic Gold Package. When filling out the Seller Property Disclosure Statement provided in your Home Listing Kit, the most important point to remember is that honesty is the best policy. Properly completing the disclosure statement protects you from future legal liability. Don't omit any negative items about your property's past or present condition. If you've experienced damage, then list the damage in the appropriate section on the disclosure statement, and merely explain the corrective action taken to remedy the problem. 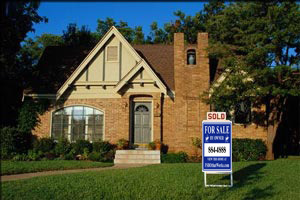 In order to sell your home you must have adequate marketing exposure. At FSBOthatWorks.com receive FREE Internet exposure. This very powerful in the home selling process. You should be prepared to spend some advertising dollars in order to get the most exposure possible...the more exposure the better. The Internet is fast becoming the number-one marketing media for selling homes, however, the print media does still have value in many markets. Find the most visible publications with the most circulation and readership to increase your chances of attracting interest in your home. In addition to our basic gold package, we offer a marketing package where you'll get marketing exposure at below market rates. Make yourself and your home available for showings. A common mistake when selling By Owner is to have only "set times" that your home will be made available to the public. This can be a fatal flaw in your home selling plan. If you have qualified buyers who want to view your home it is imperative that you let them see it. You've already spent time, energy, and money to get prospective buyers interested in your home, and you don't want to miss any opportunity to capitalize on your investment. Remember, selling your home is inconvenient. Whether you sell your home by yourself or with a real estate company, you will experience interruptions in your normal routine. So go into this process with the mindset that the main goal is to sell your home. Spend time showing people the features of your home and all the things you love about it. The more effort you put into the process the better your chances of success. This is one of the most important and most overlooked aspects of the real estate transaction. Prospective buyers must have the money to purchase your home. While this may sound like common sense, it is amazing how many people go shopping for the perfect home without first speaking to a lender. All lenders will pre-approve buyers and provide a letter stating the prospective buyer's ability to purchase a home of a certain value. It is not recommended that you accept offers from anyone who is not pre-approved through a lender. This is the moment you've been waiting for... the offer. First, you must separate all emotions from this process and understand that there is no such thing as a "bad offer." The offer may not be what you wanted or expected, but don't get upset or angry. Normally offers have an expiration date and time. Use this time frame to consider the offer and whether or not it's appropriate to submit a counter-offer. When negotiating any sale it's always important to be realistic. The process of negotiating a real estate transaction should not be an adversarial process. It should be a "win-win" situation with both parties walking away feeling good about the entire process. If you are uncomfortable with the legal aspect of the transaction and the paperwork involved we have an option for review of legal documents by a licensed attorney. On the Uniform Purchase Agreement the seller's signatures must be notarized. DO NOT sign the paperwork then expect to get it notarized later. The signatures must be witnessed by the notary in person. DRI Title has notaries on staff who will be happy to assist you with this process. When the signatures are notarized your DRI Title representative will review your paperwork to ensure a flawless transaction. The title and escrow process is extremely important. Having competent professionals representing your best interest is invaluable. Most title and escrow companies in the Omaha market have the same fee structure for both title insurance and escrow closing. The title process gives the purchaser's lender the assurance that your property is free and clear of all liens, judgments, and other encumbrances. The escrow closing function ensures that all loans are paid off, and the purchaser's and seller's funds are dispersed properly. An incompetent title provider can delay or halt the entire process, and you have worked far too hard to let someone else's incompetence sabotage your outcome. The closing date is agreed to by all parties. At this time the seller, buyer and the escrow-closing agent will meet, usually at the title and escrow office, to sign all paperwork. After the paperwork is executed, the keys to the home are given to the purchasers and they take possession of the property. Upon completion, the sellers will receive a check from the title company for their proceeds, less any balances outstanding on the property.